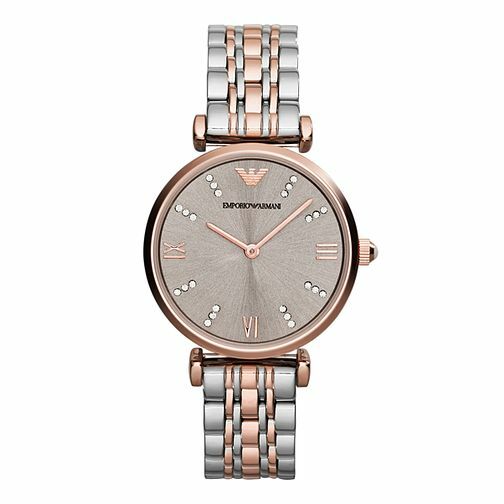 A modern and stylish watch from Emporio Armani featuring a stainless steel and rose gold tone bracelet a a stone set champagne coloured dial adding a touch of glamour to your look. Emporio Armani Ladies' Two Colour Bracelet Watch is rated 5.0 out of 5 by 1. Rated 5 out of 5 by Anonymous from Beautiful watch I received this watch for my 30th birthday from my parents and it's absolutely beautiful. Good quality and unique, I love it!